Not moths - their antenna aren't feathery. This is a male and female mating. 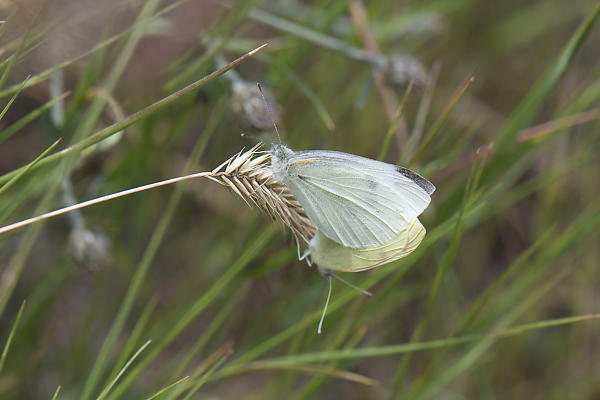 Cabbage White's are an invasive (and very plentiful) species.